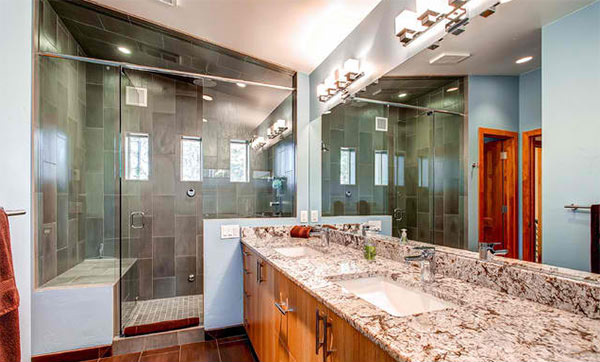 You could observe that a bathroom’s countertop have different materials on it. It could be marble, granite, quartz, solid, wood, limestone, concrete, tiles, onyx and many others. But the most common countertop material is granite. Granite is a very hard, granular, crystalline, igneous rock consisting mainly of quartz, mica, and feldspar and often used as a building stone. It comes in different colors from pink to gray depending on their chemistry and mineralogy. 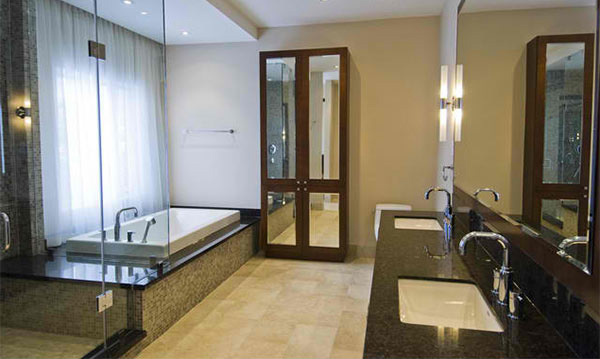 Today, we have collated some bathrooms wherein their countertops have granite materials on it. Aside from the counters, feel free to check the design of the bathrooms too. 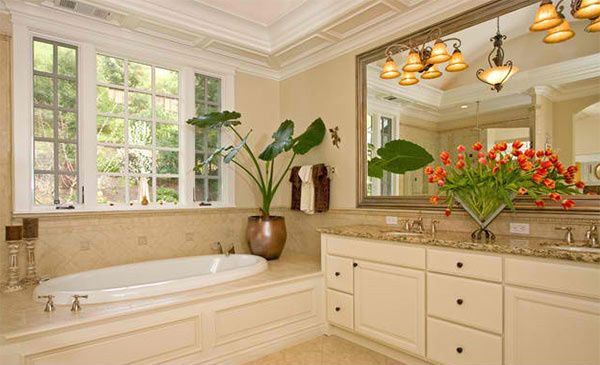 The theme of this bathroom is a little French Country brought into a traditional style. We are sure you will agree with us that the colors here are lovely. 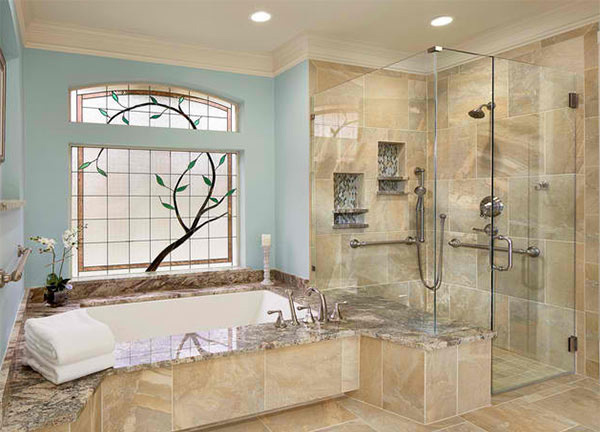 This is an aging-in-place bathroom remodel and was made more accessible. 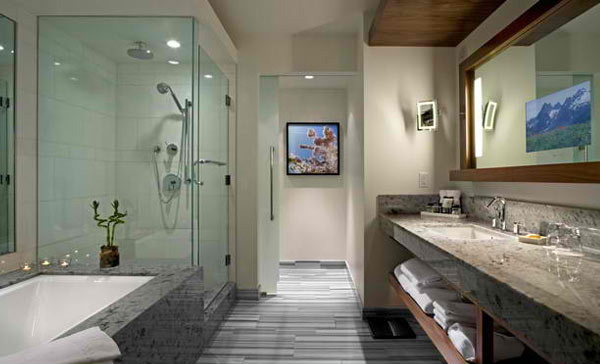 It includes stylish safety grab bars, LED lighting, wide shower seat, under-mount tub with wide ledge, radiant heated flooring, and curbless entry to shower. This is custom cabinetry is made from Mahogany wood by Custom Craft Cabinets with a granite top. 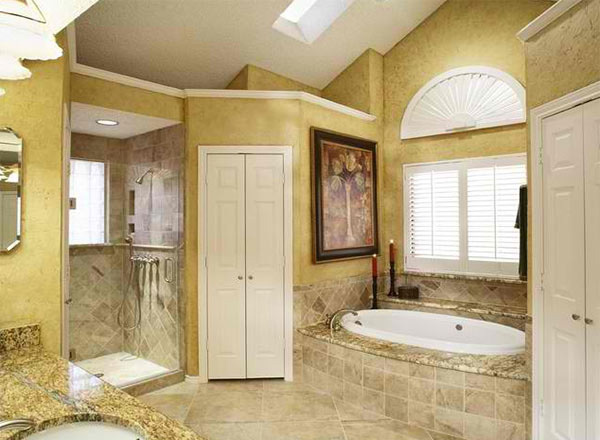 Brown Suede granite is used for this bathroom. It sure looks lavish! The granite is called Autumn Harmony and the cabinets are made in a quarter cut walnut in clear coat. The drop in bath tub looks interesting. It also has a granite top like the lavatory. 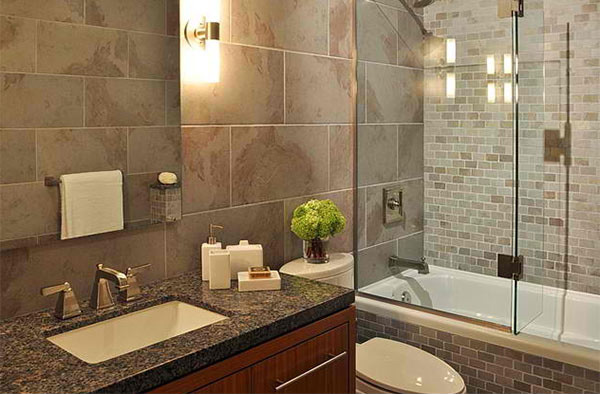 Granite wasn’t just used for the countertop but even for the two-step stair of this bath tub. 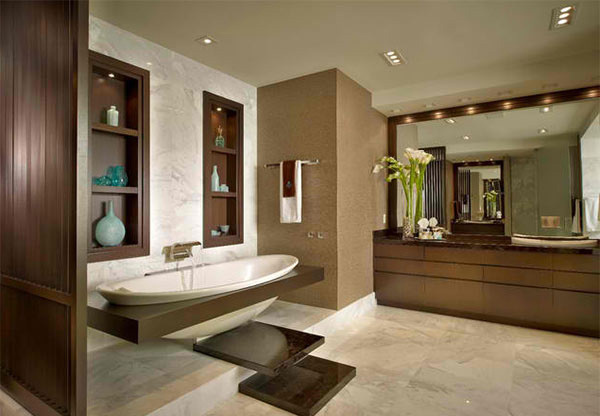 Tell us what you think about this bathroom especially the walls! Does it match well with the granite top? 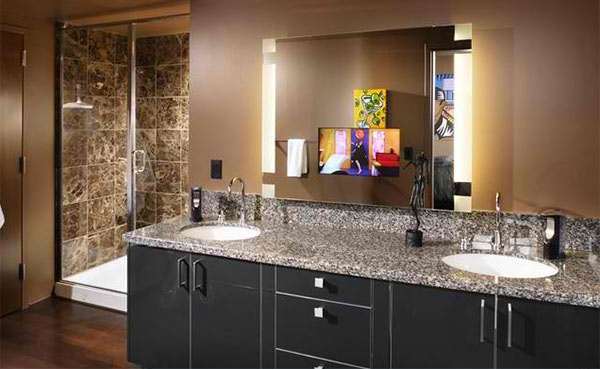 Flank your mirror with side lighting above a countertop like this and you will get a gorgeous effect. 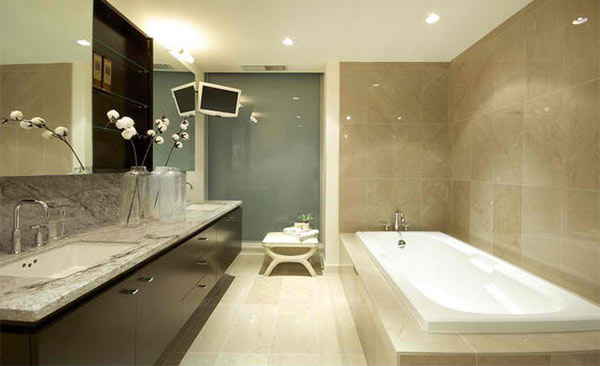 We love the serene feel of this bathroom and how the countertop is being highlighted because of its color. 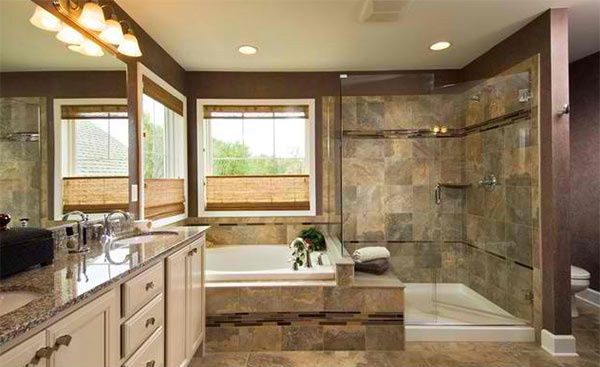 The tile of the bathroom is porcelain from Tilecrest and the colors is Silk Road Iron. The countertop is White Springs granite from Arizona Tile. The wall paint of this master bath is Benjamin Moore Greenbrier Beige HC-79 which sure matched with the color of the countertop. We like the flowers in it too! 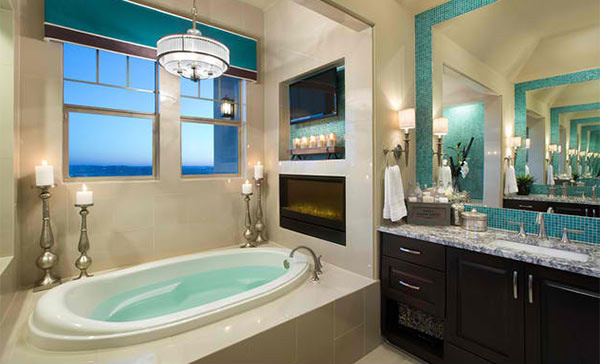 Turquoise is really stunning as it bring in more life to this bathroom! 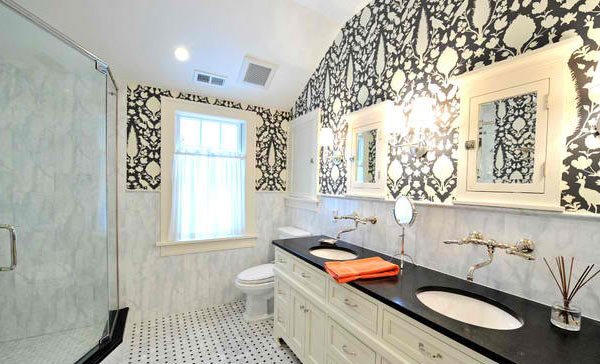 This master bathroom has porcelain tile, custom built Amish white cabinets, black absolute granite, Rohl faucets imported from Italy, frameless glass shower door, and patterned wallpaper. Quite a remodel! 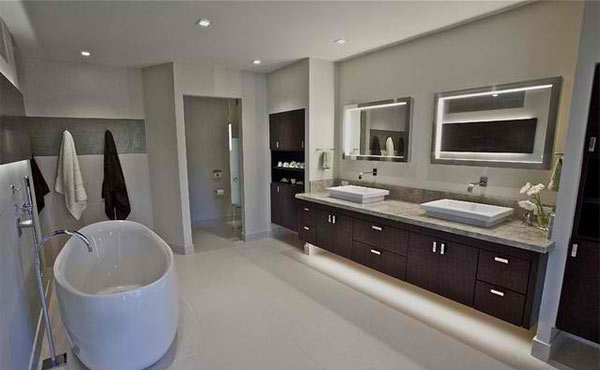 Look at the granite top that is also used for the bath tub. It sure looks sophisticated! Granite will always be a favorite countertop material. After seeing the showcase above, we know you will never ask why. It just looks great wherever you place it. But of course, this material is quite pricey. So, you don’t want to use it just anywhere! You can also see how it looks when you in the kitchen in our list of granite kitchen countertops.